The Kansas City economy turned in a solid — but far from spectacular — month in April, adding 1,700 jobs region-wide. 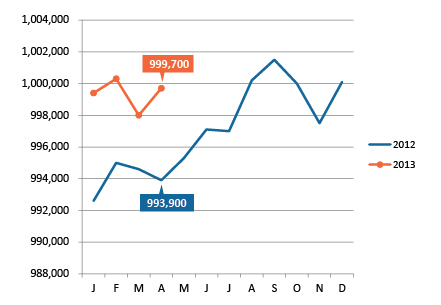 Total employment in the area stands at 999,700, up by nearly 6,000 from one year earlier. That's a low number for an area as large as Kansas City to gain in one year. But with brighter prospects for the manufacturing and construction sectors in the months ahead, we expect employment to look a bit stronger going forward. What sectors are growing now? The Professional Business Services industry had the greatest employment gains in the Kansas City area, followed by Leisure and Hospitality. Retail and Government employment saw significant declines. Our seasonally adjusted unemployment rate remained steady at 6.6 percent for the third consecutive month, placing the Kansas City metro right in the middle when compared to its peers. 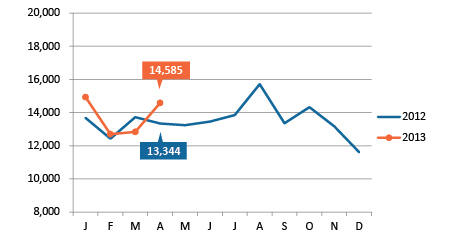 Job postings had a strong showing in April, with 14,585 unique help wanted ads. The industries with the most ad volume were Administrative Support– Waste Management; Health Care; Professional, Scientific–Technical Services; Retail; and Information. Some of the top occupations sought include Registered Nurses, Retail Supervisors, Network and Computer Systems Administrators, Computer Support Specialists, Customer Service Representatives, and Computer Systems Analysts. Employment climbed to nearly 1 million jobs in April, up by 5,800 from one year ago. 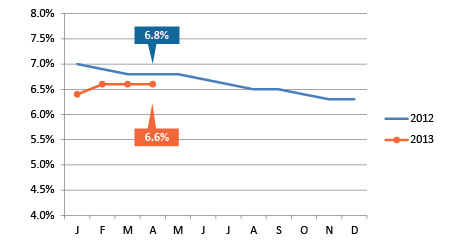 The seasonally adjusted unemployment rate held steady at 6.6 percent for the third month in a row. 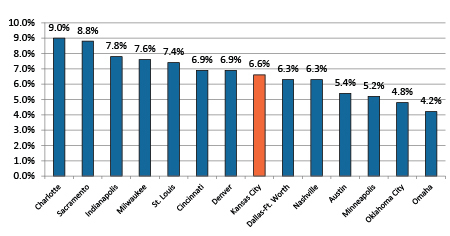 Kansas City's unemployment rate remains firmly in the middle of our peer metros. Job postings rebounded well in April after slumping in February and March. 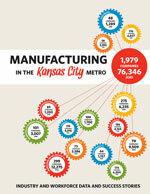 A new report published by MARC's KC Accelerator initiative provides data on the manufacturing industry in Greater Kansas City, including top manufacturers, job multipliers by industry, top growth industries, job skills and certifications most in demand and top growing jobs by education level. The report also includes success stories from KC Workforce partners, including the KC STEM Alliance, Full Employment Council, Kansas City Kansas Community College, Workforce Partnership of Johnson, Leavenworth and Wyandotte counties and PREP-KC. KCEconomy blog: "Think Made in KC"
A recent KCEconomy blog post by guest author Richard Shipley encourages people to "Think Made in KC" and buy local products when shopping. Find out about products that are made or designed locally and how you can support the growth of our hometown industries and encourage job creation.